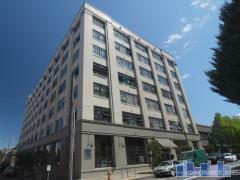 Located in Old Town Chinatown, The Old Town Lofts offer newer loft living in a superb location. Some of the lofts here have courtyards, and all of them feature large windows, W/D connections and hardwood floors. Enjoy all the restaurants and nightlife of the Pearl District just outside your door. The Old Town Lofts are also close to the new U of O campus and the MAX line. "Stu recently found us a great condo in Old Town to rent out. He went the extra mile by researching the background info on the building and contacting the property management company several times to find out HOA bylaws that would help us make our decision. We felt that Stu was totally honest and not out to just make a sale. With all the information he presented we felt we could make an informed decision. In addition, working with Stu felt like working with an old friend, someone you could trust." ~ Ashley & John K.
Have any comments or questions about Old Town Lofts? Ask your question and/or share your thoughts about this Building.